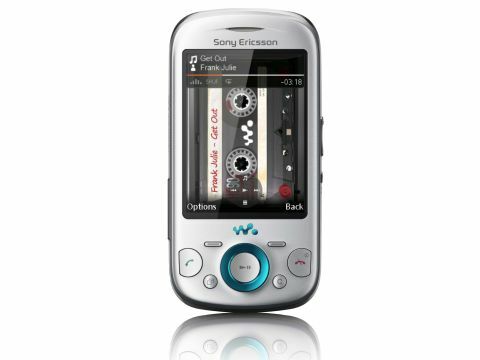 The Sony Ericsson Zylo is the first phone with FLAC support, but does it hit the right note? Though Sony Ericsson has recently taken care of the more serious phone users with the Xperia X10, the X10 Mini, the X10 Mini Pro and the Vivaz Pro, those looking for a mid-range feature have been left out for a while. In particular, there was obviously space for a media-capable feature phone, because that's what we've been delivered in the shape of the Sony Ericsson Zylo. It's been a while since the Sony Ericsson Aino last brought media to the masses, and though the Zylo doesn't have all the fancy PS3 connectivity that made the Aino so unusual, it still has digital playback at its core. This slider features support for numerous audio and video formats, including FLAC for high-quality playback. There's also social network integration built into the Home screen, so it's clear that the Zylo is being aimed at the digital hipster market. The 2.6-inch Walkman phone features YouTube integration, a 3.2-megapixel camera and Sony's PlayNow download service. HSPA 3G mobile internet is present, though there's no Wi-Fi connectivity. With the Walkman branding and lossless music playback, some have even been considering whether the Zylo could be the audiophile's dream phone. A slightly more unusual audio feature is the ability to play songs in the background while on the phone. The intention here is so you can share your songs with your friends. This seems like an awfully quaint way of trying to avoid people swapping music files – particularly when the phone features MMS, Bluetooth, email and mass storage capabilities via its miscroSD card slot. More amusingly, the Zylo comes preloaded with 'sounds' that can be played in the background of calls instead of music, including ambient office noises and car sounds, should you ever need to pretend to be at work still, or or broken down by the side of the road. Because Google Maps (with Latitude) and camera geotagging is supported, you might be led to believe that GPS in onboard, but you would look a fool. All location services rely on mobile triangulation alone. With a built-in email client and revamped threaded SMS view, its clear that no one is being forgotten for features.